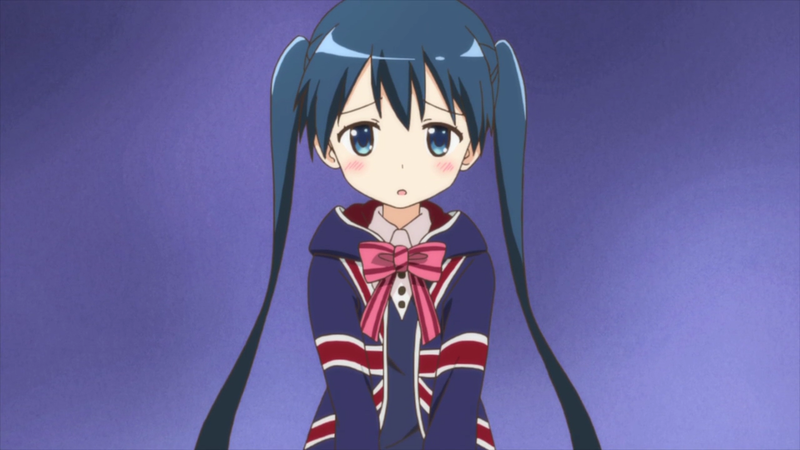 Kin-iro Mosaic – 09 | Mezashite! Return of the union jacket! 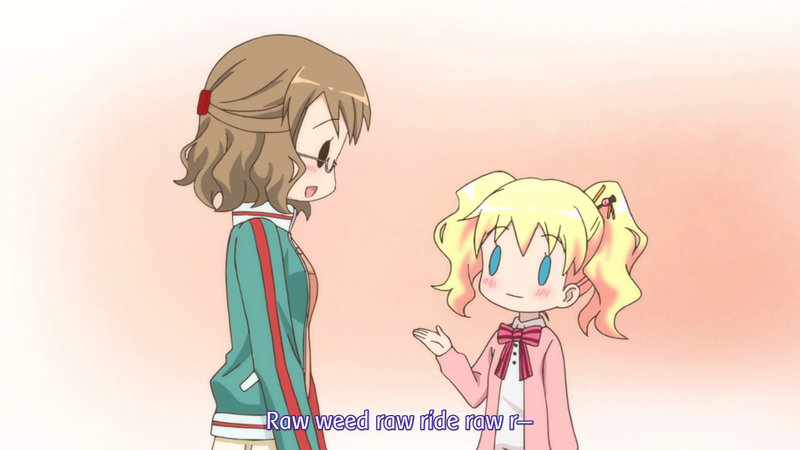 The tongue-twister in question goes “nama mugi nama kome nama tamago” (raw wheat raw rice raw eggs). 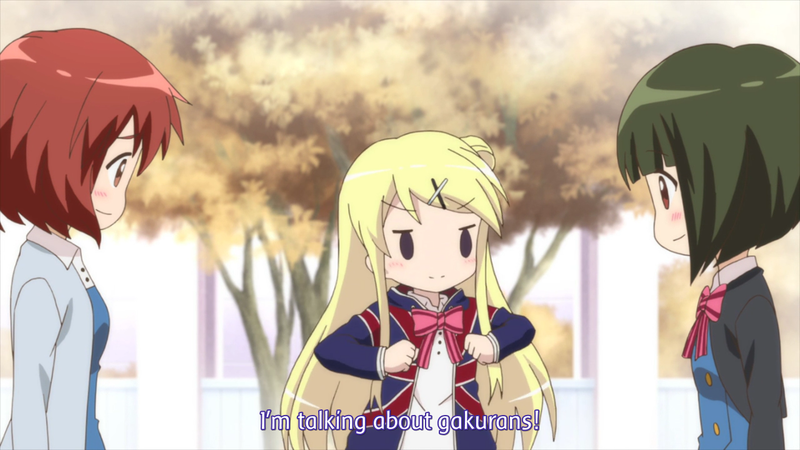 Too bad I couldn’t just say “boys’ uniform” since Karen doesn’t seem to agree. 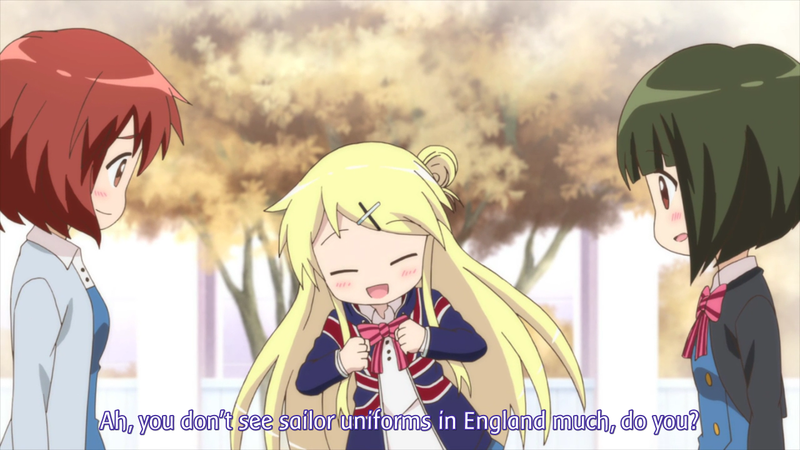 I remember seeing somewhere that Japanese sailor uniforms (the kind on school females, not the kind of sailors) were based on British sailor uniforms, actually. 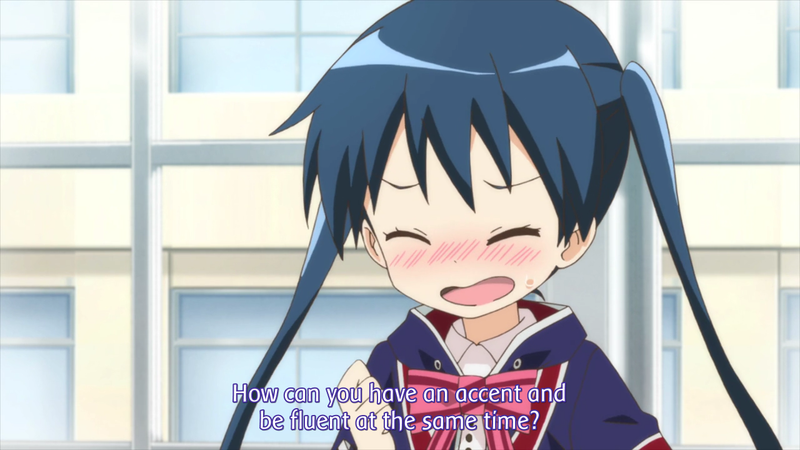 The word we’re translating (and have been translating) as “accent”, katakoto, more literally means “stuttering”, and the word we’re translating as “fluent”, ryuuchou, means fluent in the “speak smoothly and flowingly” manner, so the two are more obviously antonyms in the original. 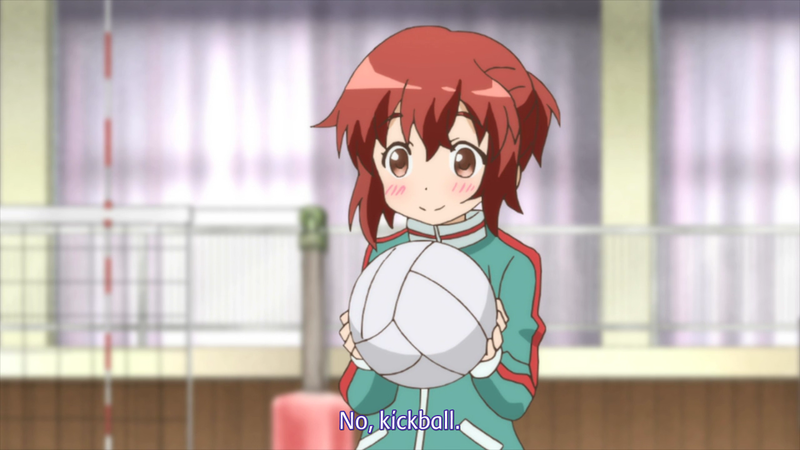 Actually, it’s kemari, which is like hacky sack, except with a ball. And Youko’s line about volleyball was more like “oh, so we’re going to hit this volleyball around using volleyball-ish actions?”. Which is similar in kind to kicking a ball around. 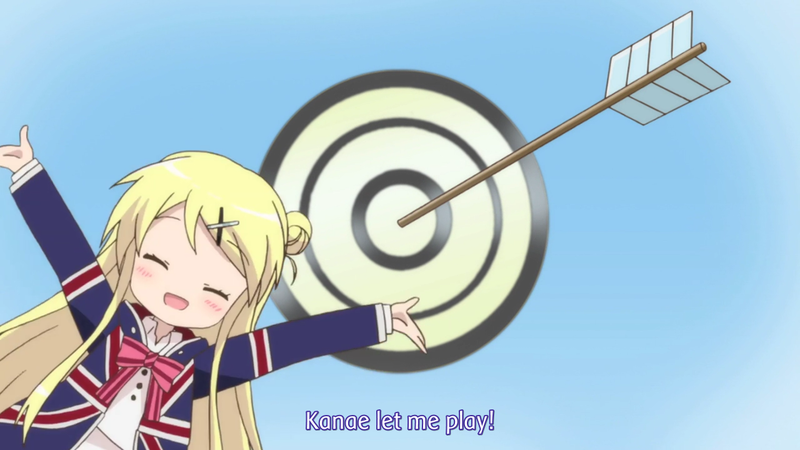 I’m assuming Kanae is the name of that girl from Karen’s class. 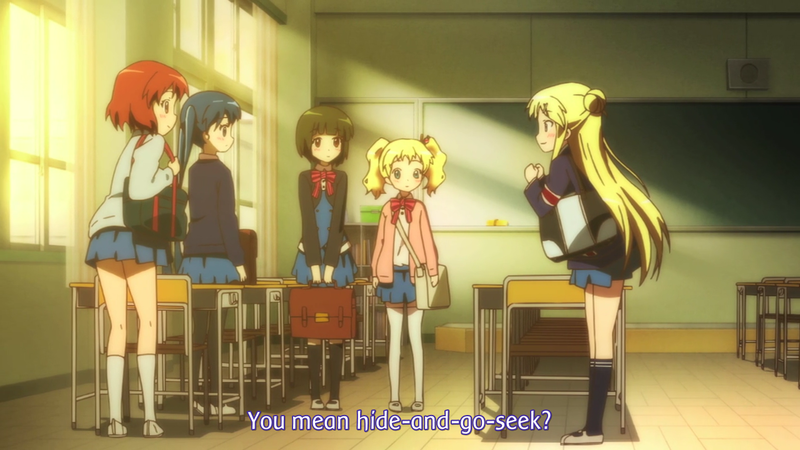 Please, no one call it “hide-and-go-seek”. Thanks for the release and TL note ! 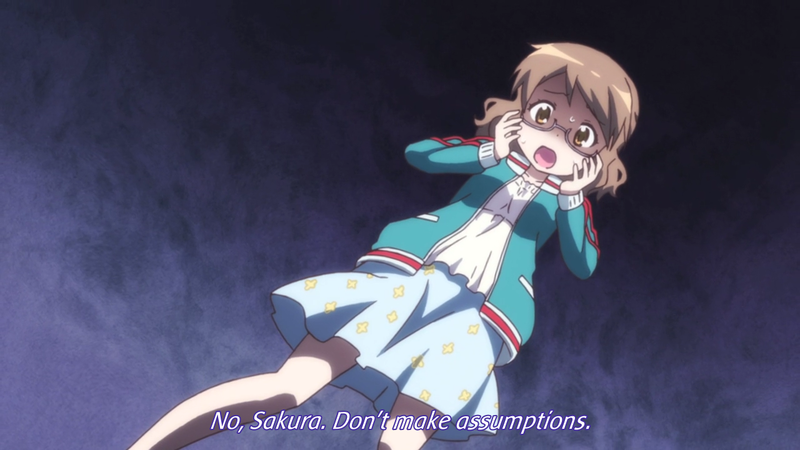 Well, she’s not saying it properly, so it’s not written properly.